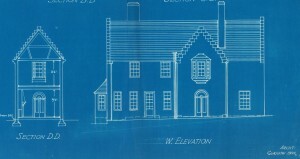 Edith Mary Wardlaw Burnet Hughes was the first practicing woman architect in Britain. 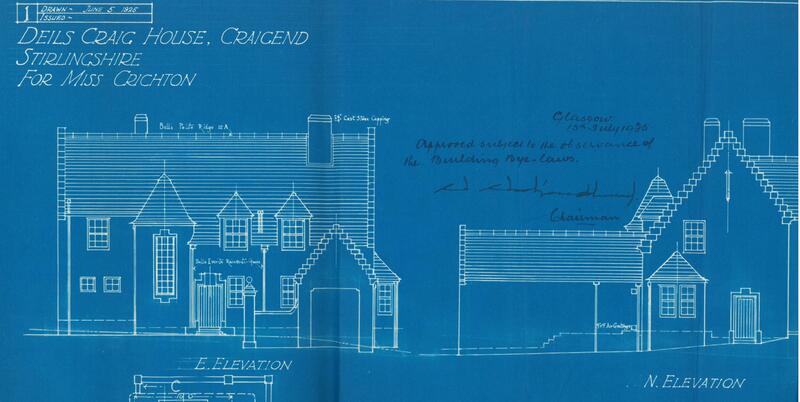 Stirling Council Archives holds some of her architectural drawings amongst its collection of building records. 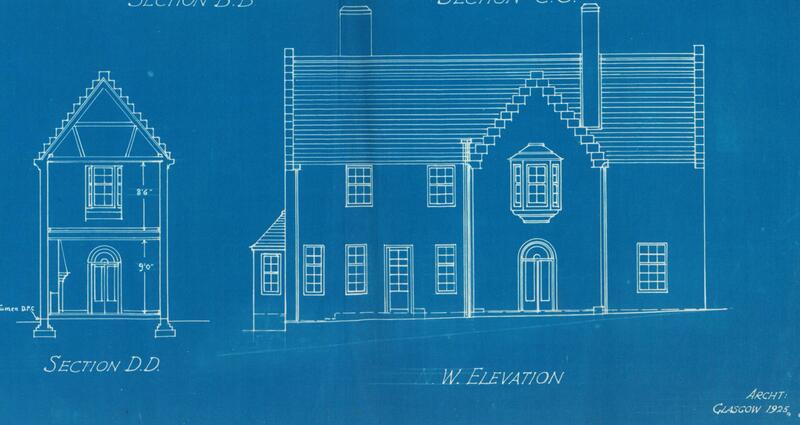 In 1914 Edith graduated from the architecture course at Gray’s School of Art in Aberdeen. For the next few years she lectured at Gray’s and also assisted at Jenkins & Marr and WJ Devlin’s practices. 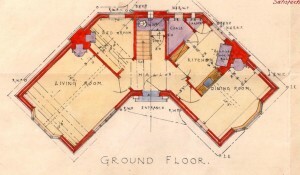 In 1918 she married Thomas Harold Hughes, her former tutor and fellow architect. By 1919 Hughes had become a Partner in John Burnet & Son’s office in Glasgow (she was Sir John Burnet’s niece). However, she left the partnership the following year and was unable to move to the London office (they had no separate toilet for females). Instead Hughes set up her own practice in Glasgow in 1920. She also started a family in the 1920s, having three daughters. This was of course before the times of maternity leave and as the plans show she continued to work throughout this period. It is interesting to note that for the three sets of plans we hold (see below) were all for female clients. The work on High Mains was for Jessica Baird-Smith, one of Glasgow’s first woman councillors. 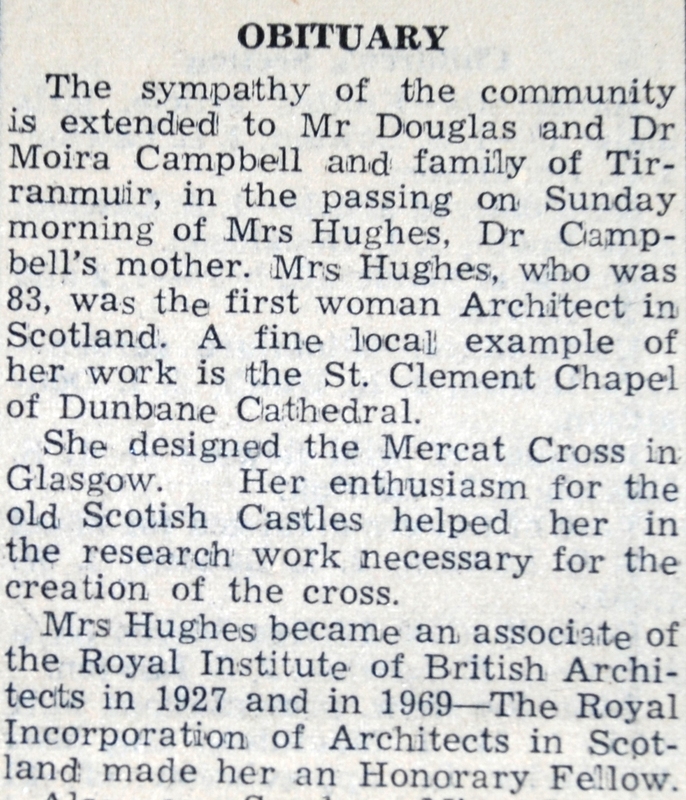 Towards the end of her life, Hughes moved to live with her daughter, Dr Moira Campbell, at Tirranmuir, Kippen. Aged 83 she died on 28 August 1971 at 18 Park Terrace, Stirling. 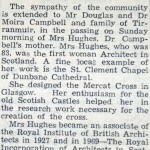 Her obituary featured in the Stirling Observer (2 Sep 1971). 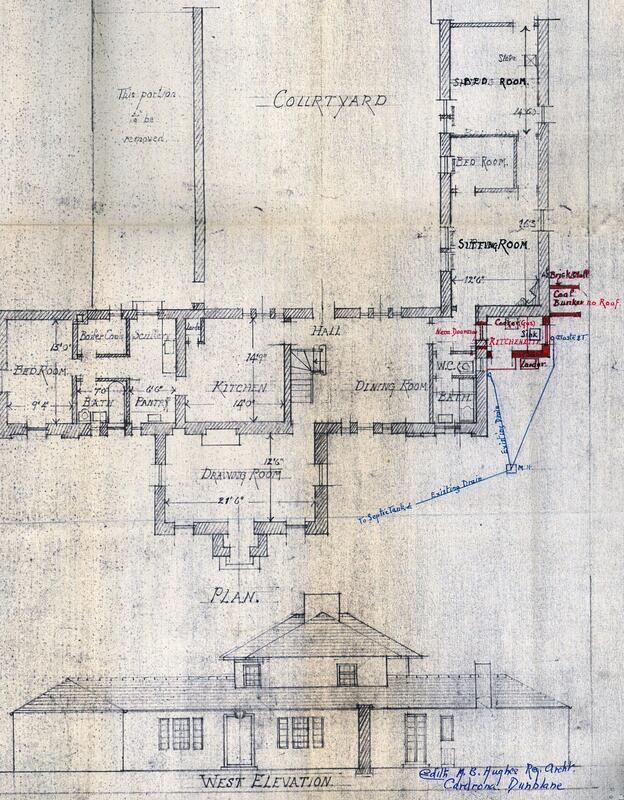 We hold some of the drawings for the following properties, but for the Stirling area Hughes was also involved in the restoration of the Clement Chapel at Dunblane Cathedral and alterations to the Beacon School (now known as Beaconhurst). Although Hughes’ name is not on any of the drawings held, just ‘Architect, Glasgow’, the Dictionary of Scottish Architects lists this as a building she was involved with. The plans include a garage, which at this time would still have been a relatively new feature for a home. It was only in the 1920s that the middle classes started being able to afford cars. Built in 1932, this four bedroom cottage is notable for its unusual shape. 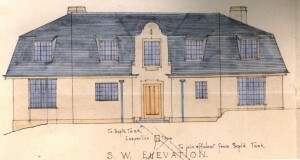 The plan was drawn in 1929, when Hughes was based at 121 Douglas Street, Glasgow. Hughes was asked to design a kitchenette to add to the North Wing. 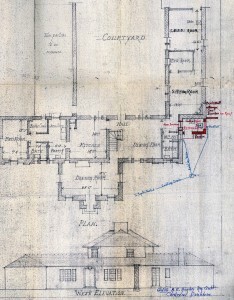 This would allow this section of the 19th century house to be let as an additional cottage. See how this property looks today. Biographical details on the Dictionary of Scottish Architects. Role model profile on RIBA’s website about Caroline Buckingham, one of the few female architect directors working in the UK. Even today the profession is still very male dominated in the higher ranks.